Have you ever felt worried leaving the Mac with your children? With access to the Internet – the world wide web of unfiltered content and unlimited possibilities – they can virtually do anything unsupervised, from talking to strangers to charging thousands to your credit card, in just a few clicks. We can’t actually stop children from using the Mac for learning or entertainment purposes. 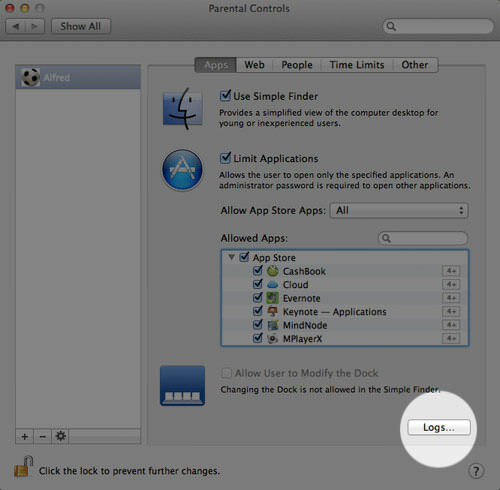 We can, however, ensure that the Mac is safe for your children with built-in Parental Controls. Click on the lock at the bottom right of the screen to start making changes. Click on the ‘+‘ button to create a new user account, otherwise, you can edit the settings of an existing account by clicking on it. 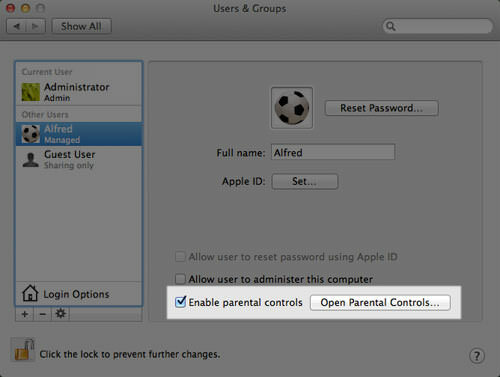 Just make sure ‘Enable parental controls’ is checked, then click on the Open Parental Controls button. 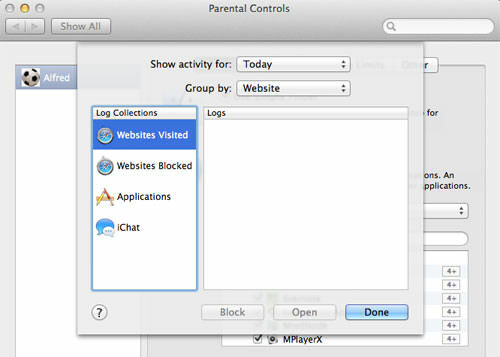 There are 5 features in Parental Controls which you’ll find very useful to know. 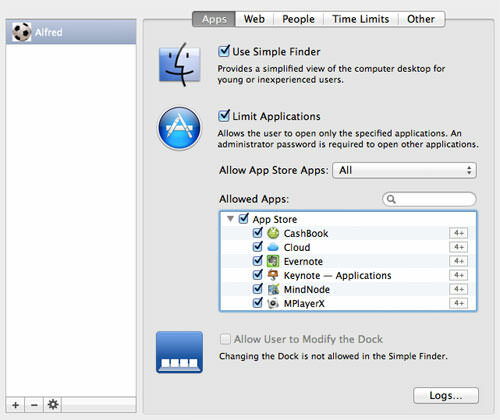 Remember, it’s all about limiting what your child has access to, and monitoring their activities on the Mac. On the Net, you never know what your child might be seeing. You can choose to allow unrestricted access (definitely not recommended), limit access to certain sites, or allow access to only the authorized few. 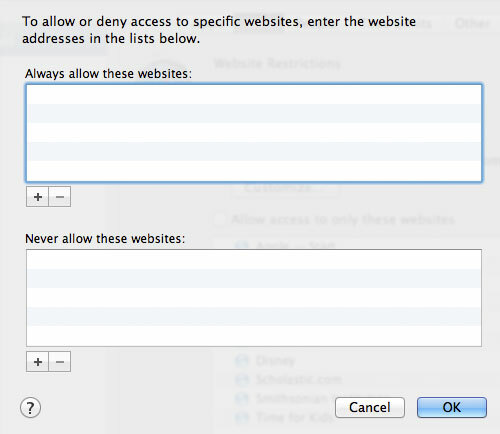 If you want to limit access to selected sites, use the Customize button. It lets you choose which websites that have won your approval, or which websites that are definitely not allowed for your children. If you have important applications on your Mac like Dropbox or Cloud where you store your valuable files, then remember to check Limit Applications before your child accidentally erases your files. You can specifically customize which application your child will be allowed to open and use. 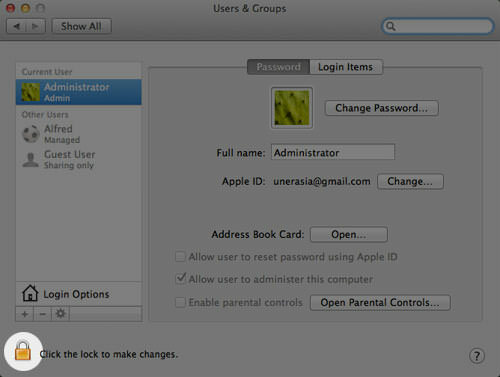 You can also limit the people your child can communicate with via the Mac. 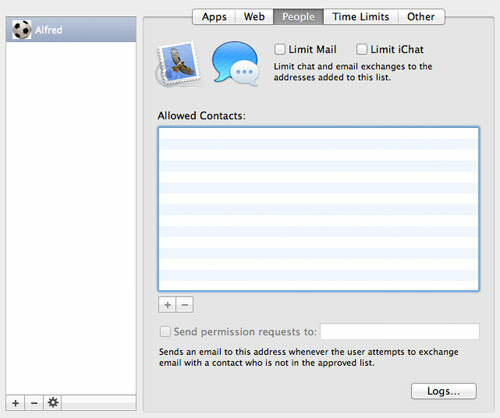 You can limit Mail or limit iChat to people you know in person or those you don’t mind letting your child chat or email with. Tip: You can set Mac to alert you via email whenever your child attempts to email somebody who isn’t in the list of allowed contacts. With ‘Time Limits’ you can set how long your children can use your computer (because if you are not going to stop them, who else is? ), and also when they can use it. 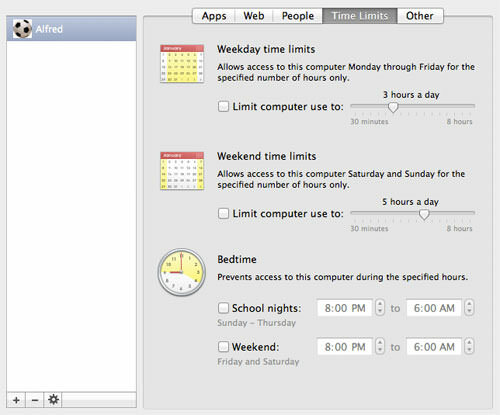 Customize the time limits for weekday and weekend so your child can’t use the Mac too much that they neglect their school work. You can even set curfews; block access to the Mac after late hours. We can’t always be around to keep tabs, but when your children uses their account to access your computer, you can always check the activities they carried out while using it. Just click on the Logs button. The log collection will display details of activities, including websites visited, applications used and even with whom they had chatted with. Parental Controls are essential to help you control, limit and ensure your children’s safe browsing activities while using your Mac. Not only will your files be secure, your children will also be protected from strangers and unwanted sites. The time limitation is also good to inculcate good surfing habits.